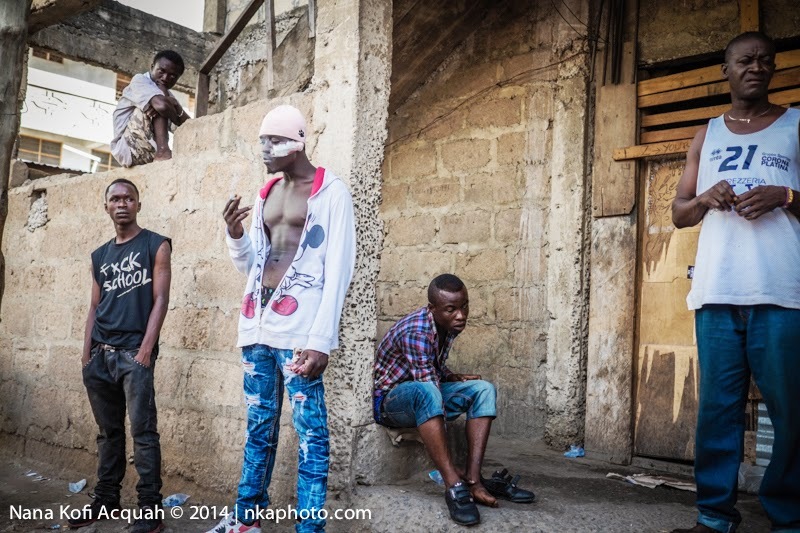 (When I asked these guys, members of the same gang, if I could take their photos, the leader said: "Don't bother. When you photograph me, I won't appear on your camera". 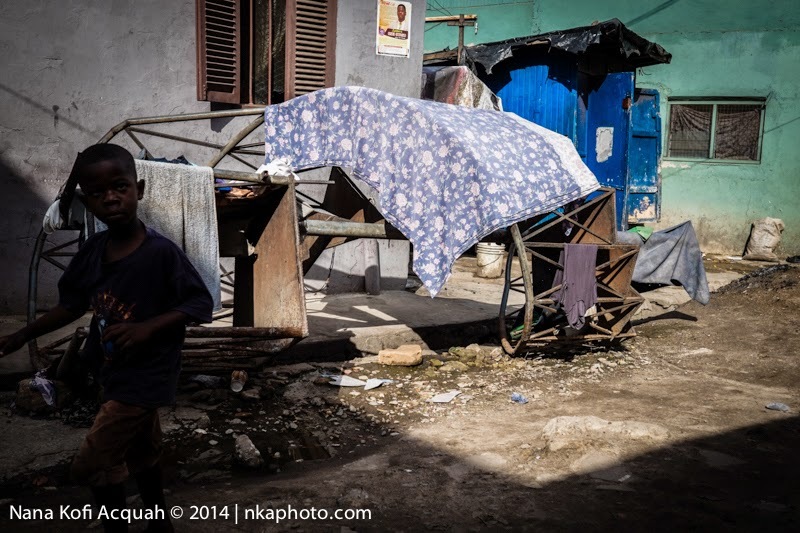 The first time I felt my camera was an obstacle was in Yaounde, Cameroon. I was documenting the fake drugs business. The canker's eaten into every aspect of Cameroonian society. We could find fake copies of popular anti-malaria drugs everywhere from open markets to the pharmacies in government hospitals. I was keen to do a great story but anytime I pulled my Canon 5d Mark III out, people panicked and shut me out. In those moments, my phone was a more useful tool than my very expensive cameras and lenses were. It was after that assignment I decided to go back and give the Fuji cameras a try. I had owned the X100 in the past and had done great pictures with it but I had never seen it as worth using on paid assignments. Fortunately in the world of technology, the speed of development is unprecedented so I ordered a Fuji XE-2 and a couple of lenses, to see for myself, if this small camera was now improved enough for me to take on crucial assignments; and I was positively blown away. Sometime this year, I was on assignment in Ghana’s cultural capital- Kumasi, where the Asantehene reigns with his famous golden stool. A few metres from where the famous king resides is a totally different world. 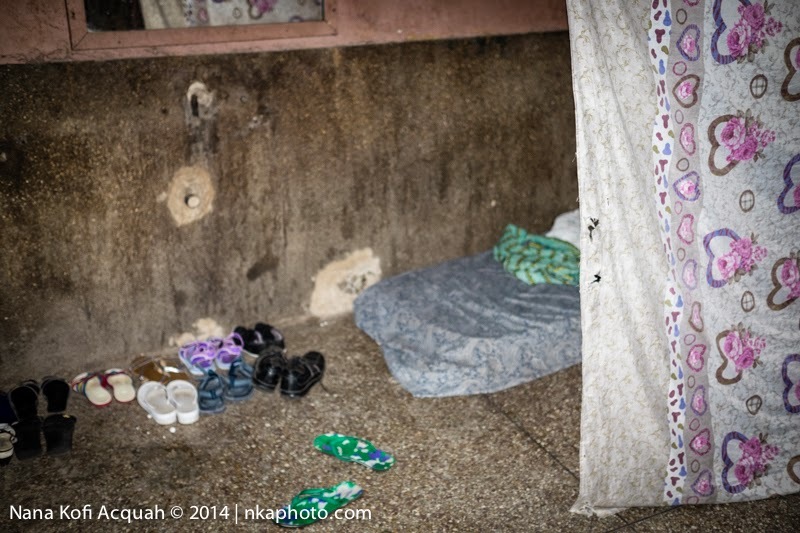 Here, I met underage prostitutes who have barely turned teenage, to helpful pimps who want to reduce abuse and control the spread of disease, to junkies who have almost totally lost it with no help in sight to help them deal with their addiction, and gangs who commit armed robbery and other offences in Kumasi but hide out here by day. Violence in these communities is rife. It is not a safe place to go with a camera. More so, a fat camera like the Canon 5D or 1D. 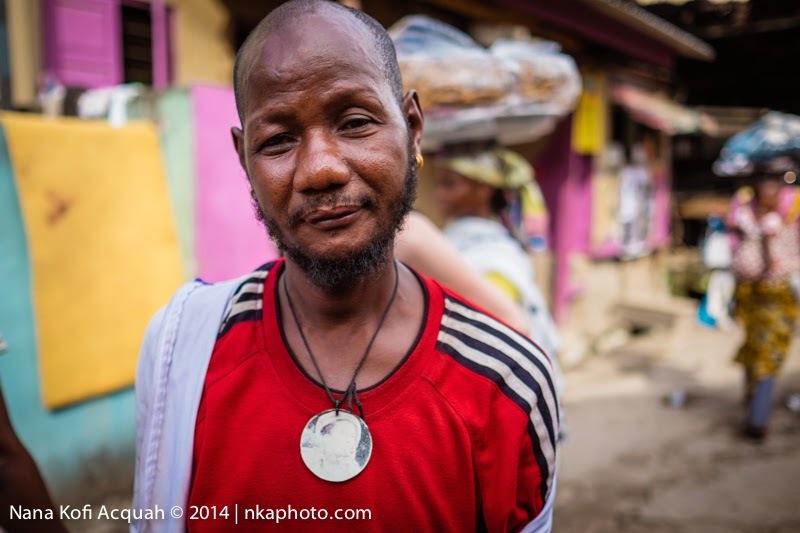 I was fortunate to have my Fuji XE-2 with me and these pictures were made with them. Even with the Fuji, I got thrown out of a couple of places and was fortunate I wasn’t physically assaulted. I had to steal most of these shots. 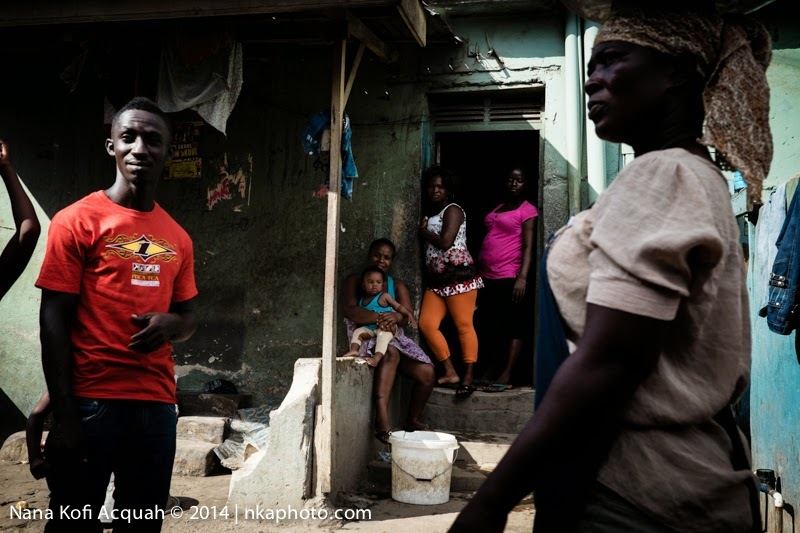 Yes, I came back with enough photographs to show that much needs to be done in this city; and across Ghana. HIV/AIDS is over 30% among prostitutes, men who sleep with men and drug users even though the national rate of infection is less than 2%. The culture of denial and stigmatisation is the main reason why infection thrives in these circles. As long as we live in denial, we cannot win the fight against drugs, AIDS, robbery, violence and prostitution in our communities. I was chatting up a gang, and one of the guys showed me the tattoo of a pistol on his arm; and told me “We are the Americans of Ghana”. I had never heard that expression before, and I was quite saddened by his comment because I knew he wasn’t talking about being Obama, the first black president of America, but rather the thugs hiphop music often glorifies and main stream media actively portrays as THE image of the young black man in America. 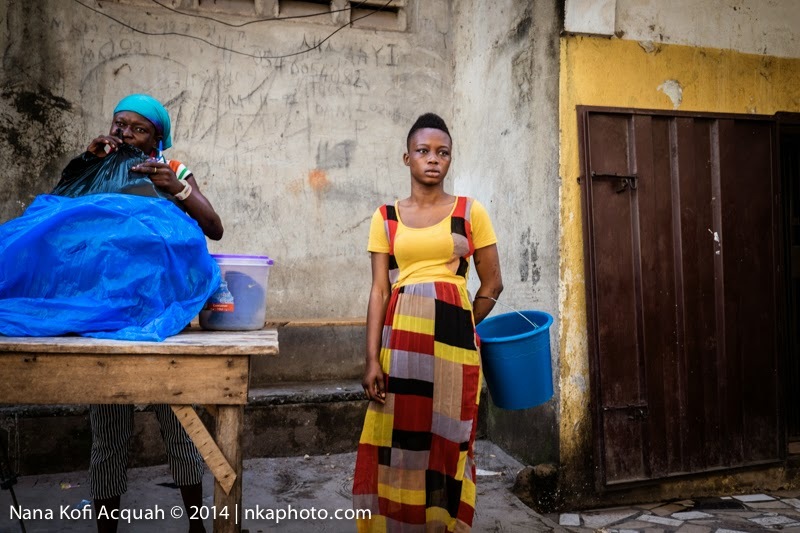 (A woman unties a knot as she gets ready to sell food in her community. Of course, not every woman here works as a prostitute; but most do and quite a number combine it with other regular jobs to help them rise out of poverty and give their children a better future). Fortunately, I don’t always have to photograph underage or overage prostitutes and gangsters. In fact about 60% or more of my assignments are about documenting the lives of ordinary and extraordinary Africans thriving to create something remarkable with their lives; and wherever I go now, there will be an iPhone, a Fuji (or some other small camera with big sensor) with me and the passion to tell the stories of the people I meet, the best way I know how. 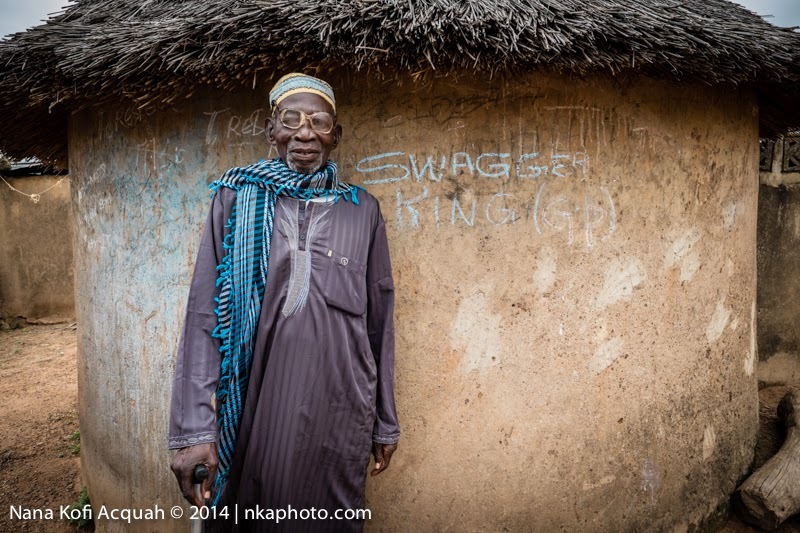 (Since I'm not a big fan of tragedies, I will end this post with a portrait I made of Alhaji in Kunbungu, near Tamale. 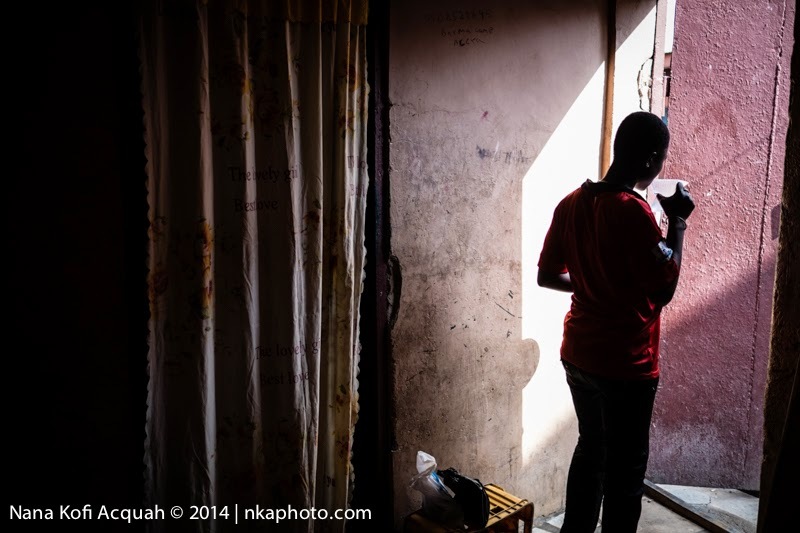 It will break his heart when he learns that quite a number of the young women who migrate from his region end up either being forced by a gang or economics into prostitution just to survive in the big cities of Ghana). Simply a very very good job! Congratulations! Simply a very good job! Congratulations! The pictures and the commentary tell a very important story! 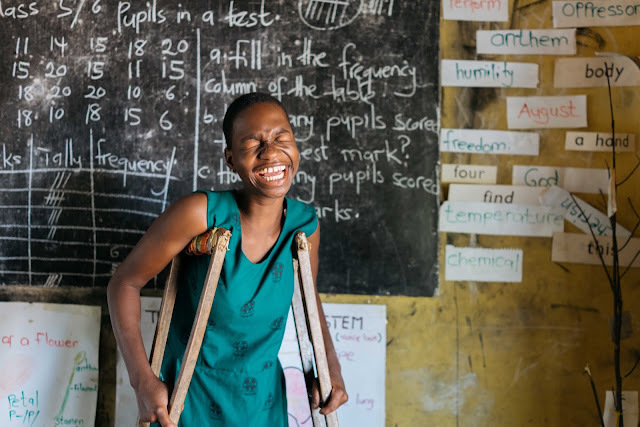 I am very interested in learning more about Africa and Ghana. I am an English teacher in the United States and I created a blog for my students. I want my students to get input from people all over the world but especially Africans because they don't know much about it and its the birthplace of humanity. If you could stop by the blog and leave some kind words for my students to read it would be greatly appreciated! Great job! !